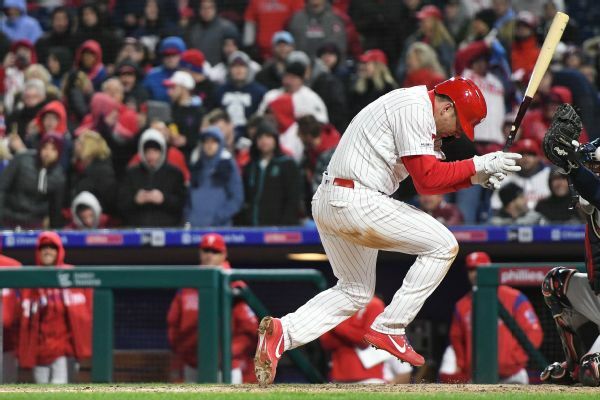 Hoskins is battling an ankle injury but could be available to pinch hit Tuesday night, Matt Breen of The Philadelphia Inquirer reports. 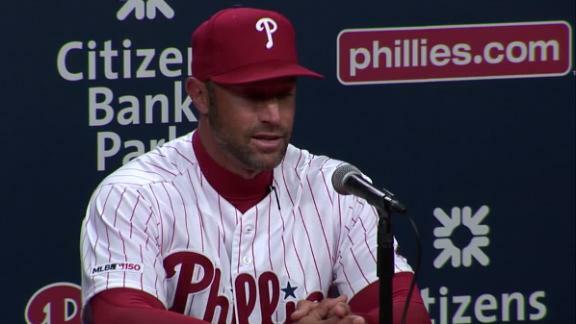 Phillies manager Gabe Kapler explains what Rhys Hoskins means to the team and expresses his displeasure with Hoskins' getting hit. 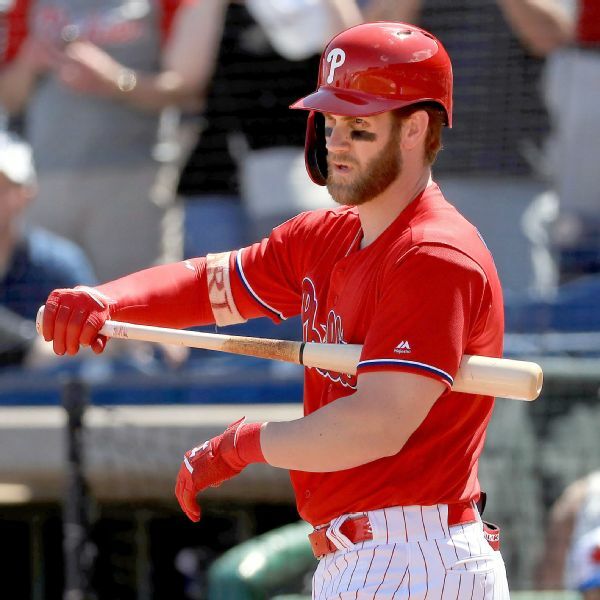 Phillies manager Gabe Kapler was not pleased to see Rhys Hoskins hit by a high pitch in Sunday's 5-1 victory over the Braves. 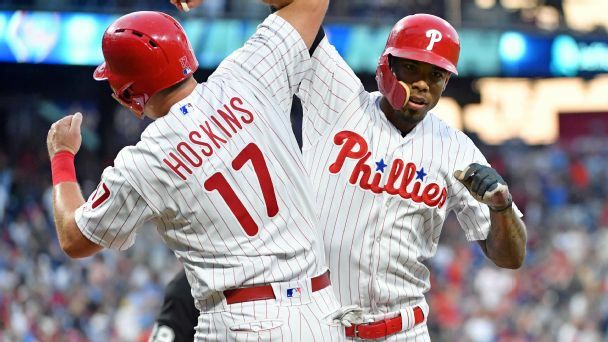 Nick Williams is the odd man out in the Phillies' outfield after his team signed You Know Who. So how does he feel about it? 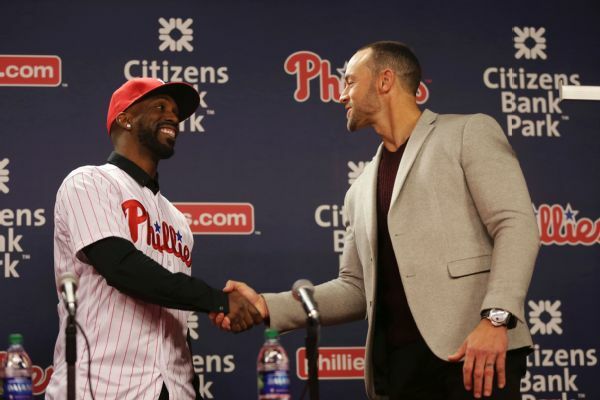 Andrew McCutchen admits that he's in decline, but says he knows what he's still capable of doing and is "looking forward" to hitting at Philadelphia's Citizens Bank Park. 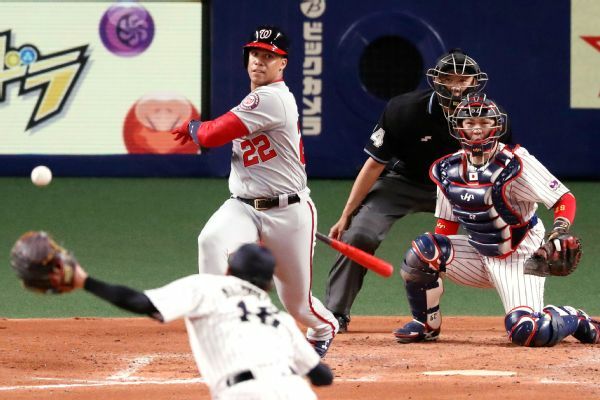 Takayuki Kai drove in the go-ahead run in the eighth inning to lead Japan over the MLB All-Stars 6-5 Wednesday and give the hosts a 4-1 lead in their six-game exhibition series. 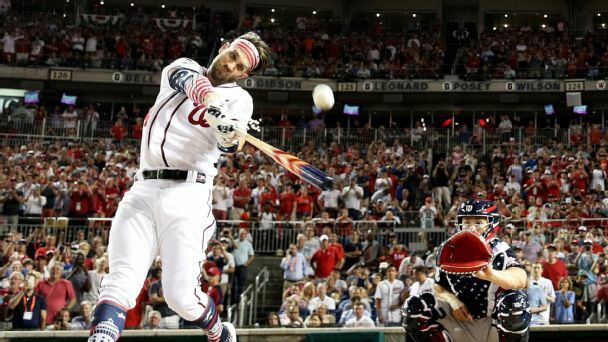 Did the Home Run Derby 'fix' Bryce Harper? 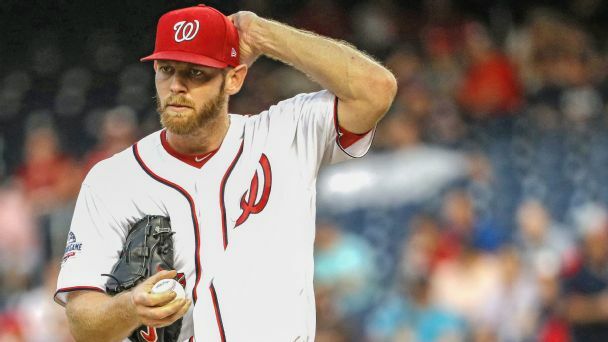 It's been a month since the Nats slugger staged an epic comeback in D.C. He denies it turned his season around -- but the numbers say otherwise. 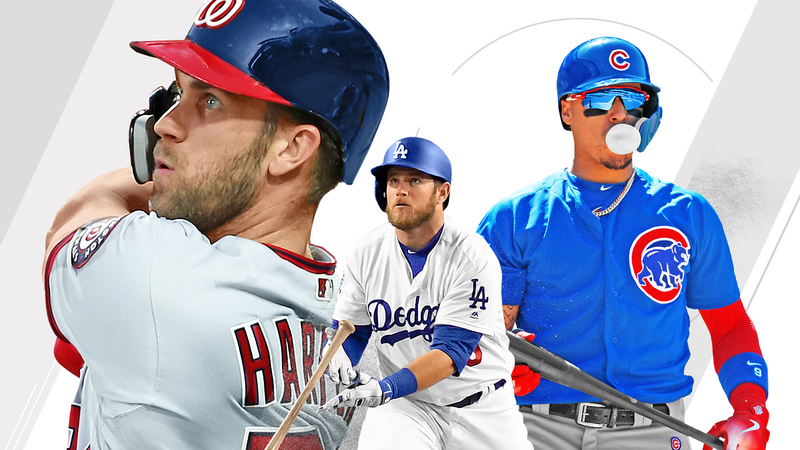 This year's Home Run Derby field is the youngest in the history of the event, so here's an introduction to the eight sluggers participating on Monday. 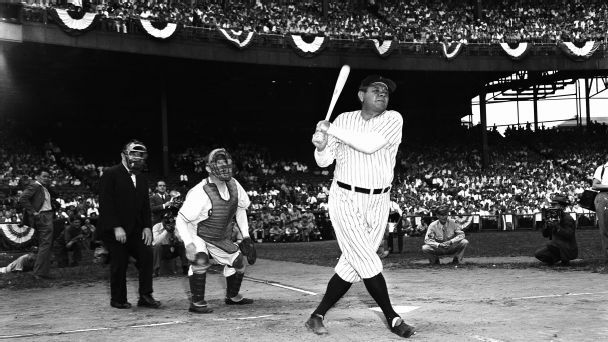 The Babe used to barnstorm across America. Willie Mays played stickball in the street. None of it "counted," but like tonight's Derby, it didn't have to.